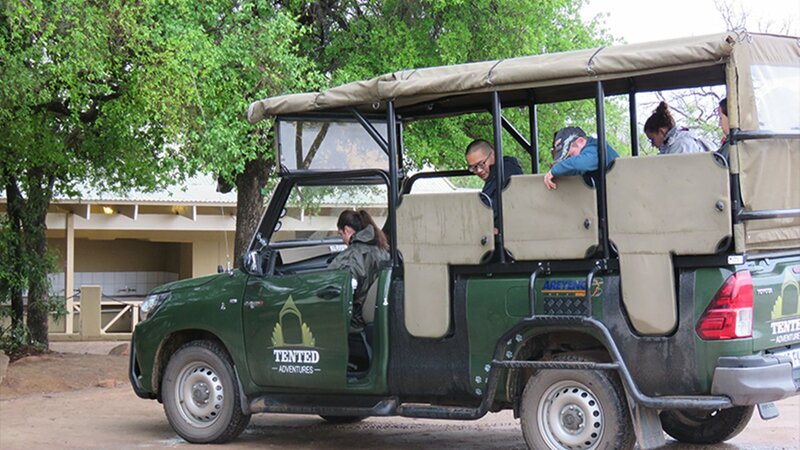 All game drives conducted be experienced, qualified guides in a open safari vehicle. 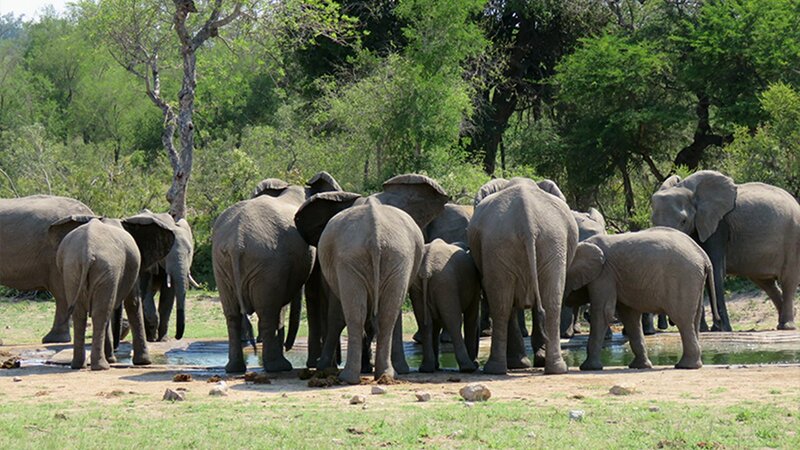 Join us for a short safari trip to see the Big 5 and have an authentic tented safari experience. Just a 2.5-hour drive from Johannesburg, Pilanesberg National Park is set within the crater of an ancient volcano, formed 1.2 billion years ago by overflowing magma. The landscape and rock formations we see today are the enduring reminders of this magnificent occurrence. The parks exist in a transition zone between the dry Kalahari and the wet Lowveld vegetation. This rich transitional zone attracts an incredible variety of flora and fauna, that is not often found living side by side. 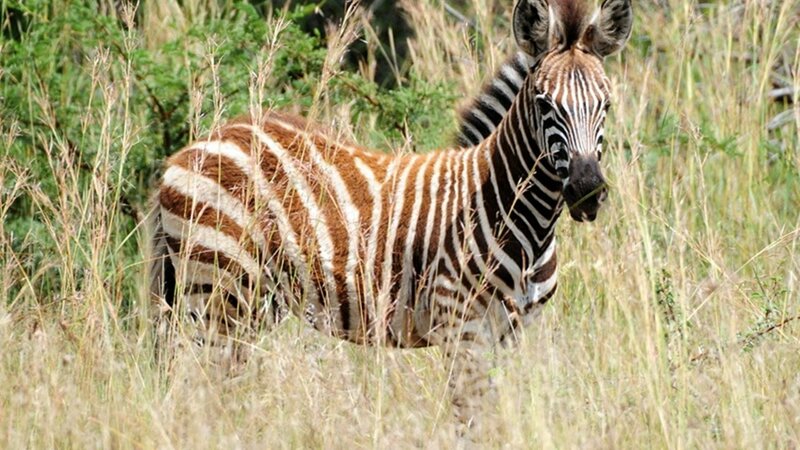 Virtually all the animal species native to southern Africa, can be found in the Pilanesberg National Park, including Big 5, wild dog, tsessebe, springbok and over 360 bird species. In 1979, Operation Genesis was launched. This was designed to reinforce the homegrown game population in the area. 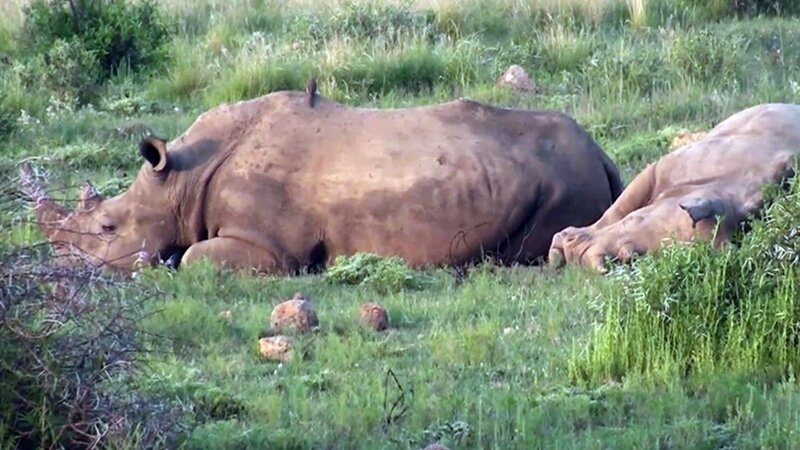 As part of the initiative, 110km of game fencing was erected and 188km of roads established. This was followed by the introduction of some 6000 animals being brought into the park. 10h00: Pick up at your hotel in Johannesburg or Pretoria for your 2h30/3h journey to the Pilanesberg National Park. Upon arrival, your hosts will welcome you and brief you with regards to the formalities and show you to your accommodation. 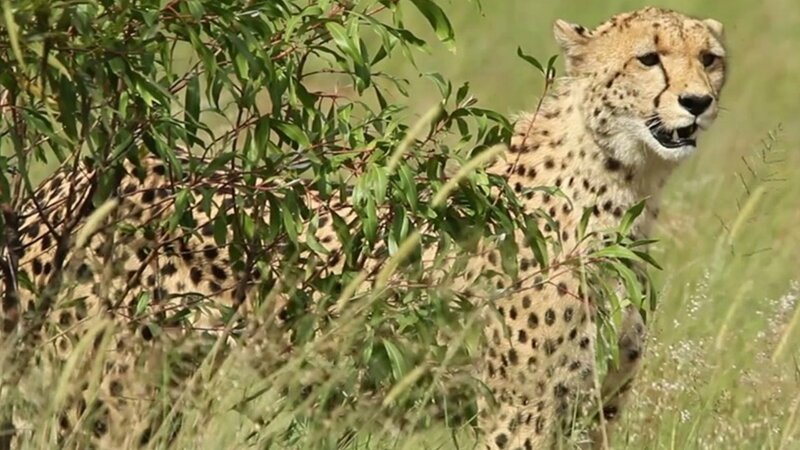 Tented Adventures Pilanesberg is located within the Manyane Resort in the well-known Pilanesberg National Park, a malaria free area and home to Africa’s Big 5. Our tented safari camp offers an affordable authentic safari experience where you will be hosted by local safari guides and where we have regular visits from resident impalas, warthogs and banded mongooses. Our intimate safari camp has 8 safari tents all equipped with comfortable beds, luxurious linen, electricity, camp chairs, carpeted flooring, large windows with mosquito nets; there is a large tented lounge and dining area and an inviting fire pit. Our communal bathrooms (shared with the Manyane Resort camping grounds) and safari tents are serviced daily and each tent has a small deck looking onto the camp fire. 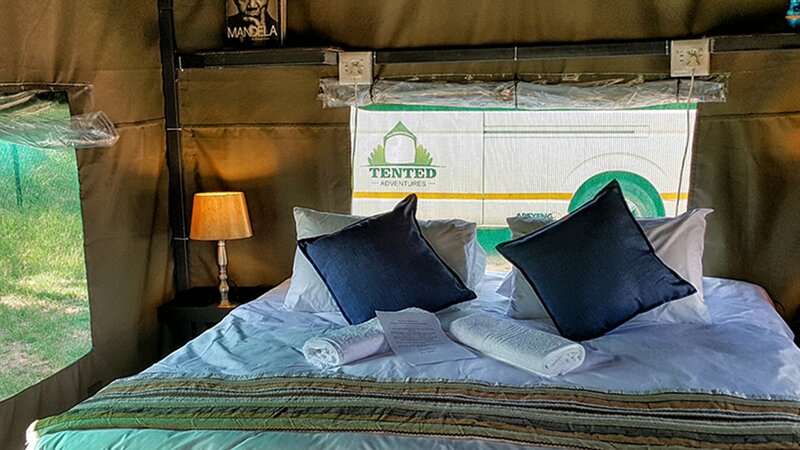 The safari tents have two single beds (can be converted into a double) and a fan to cool you down in summer and electric blankets to warm the cold winter evenings. With regards to drinks – we only provide tea/coffee/water at our camp. Please do bring your own refreshments (alcoholic too) (although there is a small shop in the camping site and also the bar at the main resort if necessary). We have a fridge to keep all the items cold. Our ablution facilities are within the Manyane Resort camping site, close to us, and they are communal – we do provide bath towels. Relax in your tent or on your deck; enjoy a walk around the Resort and even enjoy a dip in the Manyane Resort swimming pool. Guests can enjoy a cup of tea/coffee in the main tent prior to departure of the game drive. Guests are requested to be ready for the drive 15 minutes prior to departure. Please do bring warm clothing for the game drives as they are in an open vehicle, no matter what time of the year. 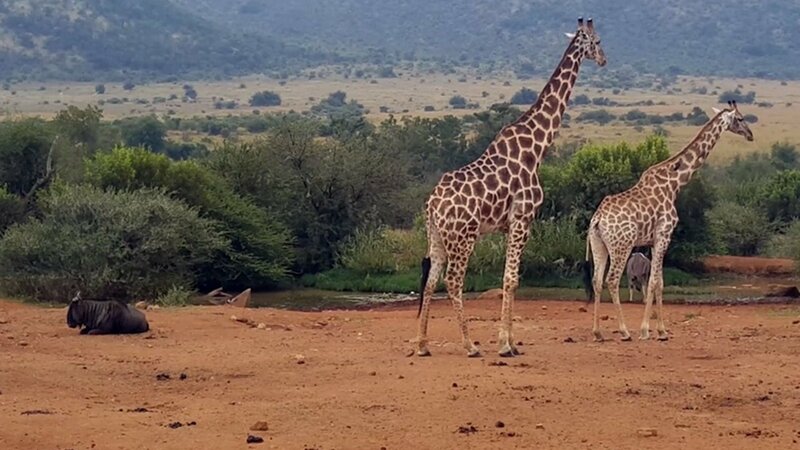 16h00/17h00: Game drives depart at 16h00 during winter months (1st May to end August) and 17h00 (1st September to end April). 20h00: Return from your fabulous game viewing experience to enjoy story telling with your fellow guests around the fire and a traditional South African braai dinner (preferably under the stars – weather permitting). 05h00: Early morning wake up call for tea and coffee in the main tent before departing on your next safari experience. 08h30: Return to the camp for breakfast at Manyane Resort Restaurant (served until 10h00 during the week and 11h00 on weekends and during school holidays). Freshen up, with time to pack. 12h00: Your transfer will collect you at the camp and transfer you back to your location in Johannesburg. The journey time is approximately 2h30/3hrs, depending on traffic. Your pickup will be at your accommodation in the greater Johannesburg area. Please confirm your pickup point upon booking. Your drop-off will be at your accommodation in the greater Johannesburg area. Please confirm your dropoff point upon booking. A good camera, there will be excellent photo opportunities! Changes in full of ownership to be handled on a case to case basis.